William T. Mullen is the President of the New Jersey State Building & Construction Trades Council. As President of the Building Trades Council, Mr. Mullen is spokesman and directs the activities of the statewide body, comprised of 15 international building trades unions and 13 county councils, representing some 150,000 members. During Mr. Mullen’s tenure, the council has been an influential voice for the union construction industry in New Jersey and played a key role in winning passage of many pro-worker initiatives, including project labor agreements, prompt pay legislation, renewal of the Transportation Trust Fund and Schools Improvement Program, and the extension of prevailing wage requirements to all public works projects. Born in New York City, Mr. Mullen joined Ironworkers Local #11 in 1968, following a two-year stint with the U.S. Army in Korea. After completing his apprenticeship, he worked as a journeyman, foreman and superintendent for various construction companies throughout New Jersey. Mr. Mullen was elected Vice President of the more than 500-member Iron Workers Local #11 in 1981 and served in that capacity through 1990 when he was elected President. In 1993, recognizing his strong leadership skills and unswerving commitment to the principles of brotherhood, the membership elected him to the local’s highest position of Business Manager until his retirement in May 2008. During his many years as Business Manager of Local #11, he earned a reputation for aligning his union behind programs and initiatives that have improved living conditions and the economy in New Jersey. He used his sure grasp of important issues affecting union construction to expand his role within the industry, serving first as Secretary of the Essex County Building Trades Council from 1995 through 1997, then as President from 1997 to 2001 when he was elected to his current position– President of the New Jersey State Building & Construction Trades Council. Mr. Mullen’s commitment to excellence and achievement has carried over beyond his profession and into his public and private life. He serves on various government agencies and statewide coalitions that seek to improve living and working conditions for all New Jersey residents. 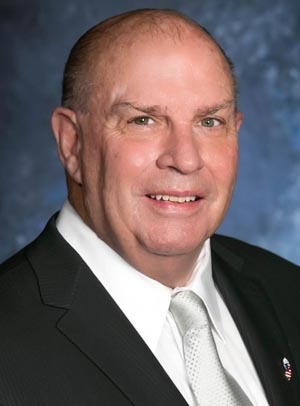 A former member of the Essex County Workforce Investment Board and State Brownfield Redevelopment Task Force, he is currently a trustee at Montclair State University and a member of the New Jersey State Building Authority. Most recently, Bill was appointed a member of the Casino Reinvestment Authority by Governor Chris Christie at the recommendation of Senate President Steve Sweeney. Governor Jon Corzine had appointed Bill to serve on his Financial Restructuring and Debt Reduction Steering Committee in 2008. Mr. Mullen was also appointed to serve on the Governor’s Advisory Commission on Construction Industry Independent Contract Reform. A longtime Committee Member and supporter, Bill has chaired the Archbishop’s Business & Labor Recognition Reception benefiting CYO/Office of Youth and Young Adult Ministries through the Archdiocese of Newark since 2002. Bill and his wife, Lorraine have three grown children, Jennifer, William and Stephanie, and four grandchildren, Ryan, Mason, Hannah and Luke. Whether as a trade union leader, administrator or dedicated public servant, Mr. Mullen has proven himself to be an involved and highly contributing member of his profession and community.